This is a rectangular Yarnall Paints porcelain sign. This particular Yarnell Paints sign is yellow with orange and black text. 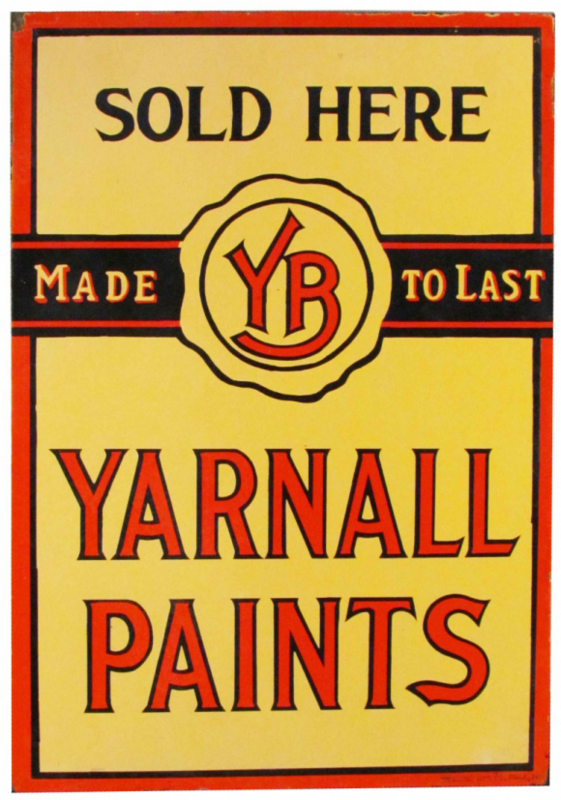 It reads, “Yarnall Paints, Sold Here, Made To Last” and features a black banner with a YP seal near the center of the sign.